The Ondo State Elections Petitions Tribunal, this morning nullified the election of Governor Olusegun Agagu of Ondo State, and declared Dr. Olusegun Mimiko, governorship candidate of the Labour Party in the 14 April, 2007 election, winner of the election. In an unanimous judgment which lasted three hours, read by the President of the Court, Justice Umaru Abdullahi, the Appeal Court upheld the decision of the Election Petitions Tribunal which nullified the election of Dr. Olusegun Agagu of the PDP and declared Dr. Olusegun Mimiko of the Labour Party as winner. The Court held that although there were irregularities in certain units of the Local Government, it was not enough to nullify the elections as the Labour Party candidate still scored the highest number of votes cast in the election. 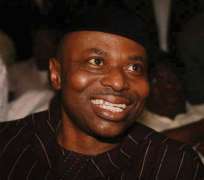 The Labour Party candidate, Dr. Olusegun Mimiko was present in Court along with top officials of the party. The PDP was represented by a few Commissioners.